Wecooker 22.5" Pizza Style Charcoal BBQ Grill with 360 square inches of main cooking surface you can cook up to 21 hamburgers at once and still have space. It also has a Chrome Plated Charcoal Grates with a slide out ash receiver and a wire grid bottom shelf. Include a Stainless Steel Pizza Ring with 2 sides handle for your delicious Pizza Maker. This Kettle Charcoal Grill has all the features you need to get your grilling started and has two plastic wheels for easy mobility. Classic model for America market! We also have Ceramic Kamado Grill, Spit Roaster, Portable Charcoal Grill etc for optional. Looking for ideal 22.5 Inch Kettle Charcoal Grill Manufacturer & supplier ? We have a wide selection at great prices to help you get creative. All the Pizza Insert For Kettle Grill are quality guaranteed. 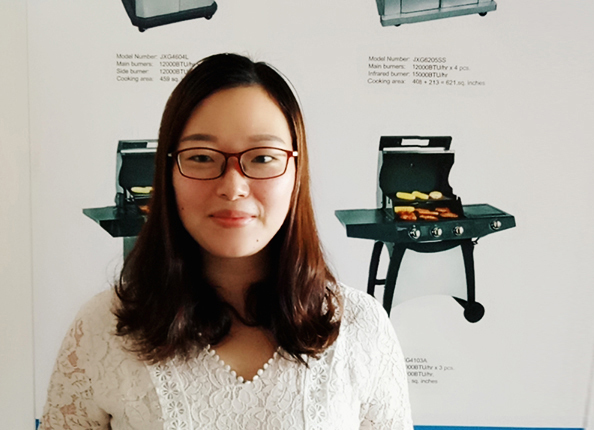 We are China Origin Factory of 57CM Deluxe Kettle Grill. If you have any question, please feel free to contact us.